It has been over a year since I purchased baby formula, when I was buying it, I normally bought the store brand. Did you know that store brand formula , which are labeled with the names of retail-store brands, are as nutritionally equivalent to name-brand formulas. Sold at more than 35,000 retailers, grocery stores, and drugstores, store brands typically save parents up to 50 percent on formula. I do most of my shopping at the local Wal-Mart so I purchased their store brand formula, Parent’s Choice. I wanted to share with my readers that purchase formula or know someone that does that exclusively at Walmart, special cans of the store brand Parent’s Choice Infant Formula are currently on sale. For a limited time, Parent’s Choice Infant Formula is available as a special buy: parents can buy two cans for just $10! Parent’s Choice Milk Infant Formula is on sale in a 15.5 oz (440 gram) can for $5.00 each. Parent’s Choice Gentle Infant Formula for babies with fussiness or gas is on sale in a special 12.9 oz (366 gram) can for $5.00 each. WOW, I remember a year ago what the cost of formula was and I can only imagine what it is now! This would be a great time to stock up ! 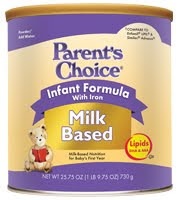 For more information on Parent’s Choice Infant Formula, visit www.parentschoiceformula.com. All infant formulas marketed in the United States are subject to the same exacting standards of the FDA, pursuant to the Infant Formula Act of 1980 and the subsequent LSRO report commissioned by FDA in 1998. This legislation vested FDA with the authority to ensure that all infant formulas sold in the United States meet minimum and maximum nutrient specifications. 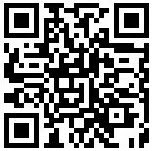 This information is now more important than ever for many mothers because of changes in the Women, Infants and Children program. As of October 1, 2009, a new WIC initiative aimed at increasing breastfeeding rates among families reallocates funding for all currently provided foods, including infant formula, baby foods, juices, and fresh fruits and vegetables. This program could mean a reduction of up to 20 percent in infant-formula subsidies; parents who previously had most of their formula paid for by WIC may now have to purchase formula on their own.